The acquisition, digestion, and assimilation of food is critical for the growth and survival of fish larvae; a fish larva either grows or it perishes. Fish larvae are characterized by digestive systems and diets that differ from adults. Larvae undergo a pattern of trophic ontogeny, changing diet with increasing size, and these changes result in differences in digestive requirements. At first feeding, the larval alimentary canal is functional, but is structurally and functionally less complex than that of adults. The larval alimentary canal remains unchanged histologically during the larval period before transformation. During transformation, major changes that result in the development of the adult alimentary canal occur. The ontogeny of the alimentary canal differs in different taxa, and experimental evidence suggests that functional differences exist as well. 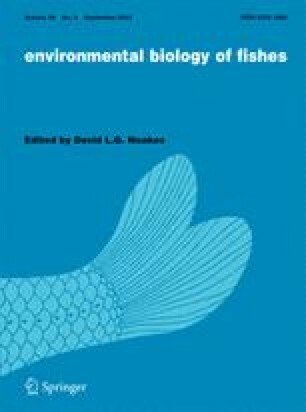 Assimilation efficiency may be lower in larvae than it is in adult fishes, due to a lack of a morphological and functional stomach in larvae, but the question of improving assimilation efficiencies during larval development before transformation remains unresolved.